Jerusalem is the city currently defined as the capital of Israel and is also a sanctuary for three religions (Judaism, Christianity, and Muslim). 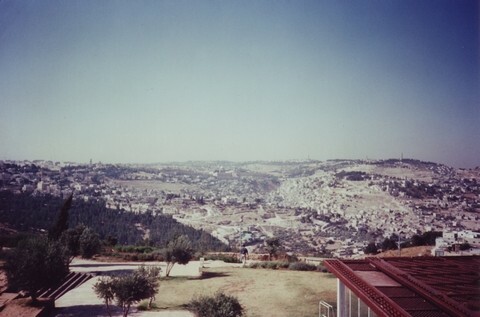 Now Jerusalem is often divided into the old city (aka: East Jerusalem) and the new city (aka: West Jerusalem) and the Christian district is located in the old city. This Christian district has the largest place of pilgrimage for the Christians, the Church of the Holy Sepulchre. Jesus was crucified on the hill of Golgotha. Golgotha is a word meaning the skull. This word suggests that the hill of Golgotha is circular and resembles the skull and the oldest man, Adam was buried in the hill of Golgotha, so the church of the Holy Sepulchere was built there later. And also the road which Christ walked to the hill of Golgotha, Via Dolorosa, has been preserved and there are several old churches on that road. There are also the Church of Ecce Homo, which is the location of the trial of Jesus and the Church of Saint Anne which is regarded as the birthplace of Virgin Mary, and Christian districts in Jerusalem are controlled and cooperated by each denomination.